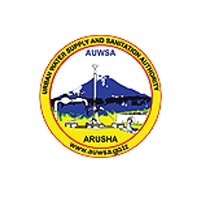 Home / JOB VACANCY / EMPLOYMENT OPPORTUNITIES ANNOUNCED AT ARUSHA URBAN WATER SUPPLY AND SANITATIONAUTHORITY FOR MULTIPLE POSITIONS. EMPLOYMENT OPPORTUNITIES ANNOUNCED AT ARUSHA URBAN WATER SUPPLY AND SANITATIONAUTHORITY FOR MULTIPLE POSITIONS. The core function of the Authority is to provide clean, portable and wholesome water to Arusha City residence, disposal and treatment of waste water from customers connected to the central sewerage system. 1.1 Appointing Authority: Management Committee. 1.2 Reports To: Head of Operation and Maintenance Section.  Holder of Bachelor Degree in Electrical Engineering from a recognized institution.  Working experience of at least four (4) years in the operation and maintenance of electrical works.  Must be registered by the Engineers Registration Board as a Graduate Engineer or Professional Engineer. 1.4 Nature of Employment: Unspecified Period Contract. i. To carry out maintenance and repair of plants, machines and equipments of the Authority. iii. To train pump operators on pump operation and record keeping. iv. To participate in establishing preventive maintenance schedule of plants, machines, equipments and motor vehicles. v. To participate in preparing a schedule for preventive maintenance and repair of plants, machines, equipments and motor vehicles. vi. To prepare maintenance and repair reports. 2.1 Appointing Authority: Management Committee. 2.2 Reports To: Head of Operation & Maintenance Section.  Working experience at least four (4) years in the operation and maintenance of mechanical works.  Must be a computer literate. 3.1 Appointing Authority: Management Committee. 3.2 Reports To: Head of Planning and Development Unit.  Holder of Bachelor degree or Advance Diploma in Statistics / Economic & Statistics.  Work experience of at least four (4) years in operation and in the field of statistics. iv. To identify data which need to be collected and analyzed for planning and development of AUWSA activities. v. To lease with AUWSA stakeholders in collecting, analyzing data. vi. To perform any other related duties as may be assigned from time to time by the supervisor. 4.1 Appointing Authority: Management Committee. 4.2 Reports To: Head of Operation & Maintenance Section.  Holder of an Ordinary Diploma (NTA 6) or full Technician Certificate (FTC) in Mechanical. i. To carry out mechanical inspection, maintenance and repair of machines, equipments, pumps and motor vehicle professionally. ii. Completing job card for every mechanical/motor vehicles maintenance and repair work. iii. To train machines and pump operators/motor vehicle drivers on mechanical issues to be aware of. iv. To document details or maintenance and repair works undertaken for every machine, equipment, motor, water pumps and motor vehicles. v. To supervise maintenance of machines, motors, equipments, pumps and motor vehicles. vi. To carryout electrical and mechanical preventive maintenance of machines, equipments, motors, water pumps and motor vehicles. vii. To open job card for every electrical and mechanical maintenance and repair work. ix. To perform any other related duties as may be assigned by the Supervisor. 5.1 Appointing Authority: Management Committee. 5.2 Reports To: Head of Human Resources Section. vii. To perform any other related duties as may be assigned by the Supervisor. 6.1 Appointing Authority: Management Committee. 6.2 Reports To: Head of Administration Section.  Holder of Form IV Certificate and a Class “F & G” Driving License of Operating Plant and ability maintain the operating tools and least one clean year driving record.  The candidate must have ability to speak and possess good writing skills in English and Kiswahili. i. To operate plants and equipments efficiently and effectively. ii. To keep in good and safe working condition and identify any defects on plants, equipments and its accessories before and after making any trip. vii. To perform any other related duties as may be assigned by supervisor. 7.1 Appointing Authority: Management Committee. 7.2 Reports To: Head of Administration Section.  Holder of Form IV Certificate and a Class “C1 and E” Driving License coupled who has attended a Basic Driving Course and at least one year clean driving record. i. To handle and drive the vehicle assigned. ii. To keep in good and safe working condition and identify any defects on vehicle and its accessories before and after making any trip. 8.1 Appointing Authority: Management Committee. 8.2 Reports To: Head of Billing Section.  Holder of Trade Test III or Level III or equivalent qualification from a recognized Institution. 9.1 Appointing Authority: Management Committee. 9.2 Reports To: Head of Credit Control Section.  Holder of a Form IV Secondary Education Certificate who has undertaken Vocational Training and Holder of Trade Test III or Level III or equivalent qualification from a recognized Institution, or Holder of NTA 4 certificate in Civil, Engineering (Specialized in water plumbing). All above vacancies carry an attractive competitive salary and remuneration package in accordance with the qualifications, required skills and experience stated in specific vacant post and AUWSA's Scheme of Service and Salary Structure. i. All applicants must be Citizens of Tanzania and not more than 45 years of age. ii. Interested and qualified candidates are invited to apply by sending their application letters attached with certified copies of relevant certificates, testimonials and detailed Curriculum Vitae (CV). iii. The CV must incorporate all contacts telephone numbers, mobile, box numbers, e-mail and physical addresses. iv. Form IV and VI result slips are strictly not accepted. v. Certificates from foreign examination Bodies, Colleges or Universities should be verified by NECTA, NACTE or TCU. vi. Only short-listed candidates (who meet requirements) will be contacted for interview. vii. Applicants who will submit fraudulent documents will be subjected to criminal proceedings. - Ability to work under teamwork spirit, establish and maintain effective working relations with different people and stakeholders. AUWSA is an engendered Authority; qualified candidates are highly encouraged to apply. Applications should be addressed to the undersigned so as to reach him/her not later than 31st May, 2018 16:30 HRS.